Home to a noble and ancient culture of sphinxes, pyramids, and Pharaohs, Egypt continues to mesmerize thousands upon thousands of foreign tourists who visit the country every year. People moving to Egypt are required to have a passport valid for at least six months before they can acquire an entry visa. However, there are certain countries that do not need a visa for Egypt. It is best to check the Embassy of Egypt in your home country to get more information about the visas and documents required when relocating to this country. Egypt’s ancient civilization is famous around the globe for being among the first and most advanced communities that left an indelible mark on Europe - Egypt is one country in the world that brings a wave of mystery at the mere mention of its name. However, expats who are travelling to the country will need to be cautious as Egypt is going through an unstable political situation where terrorist attacks happen often. Before moving to Egypt, foreign nationals are advised to consider the current political state of the country, especially since Egypt suffered from civil unrest resulting in the rampant disturbance in the streets following the protests against the former Mubarak government. Egypt, however, offers an exotic and one-of-a-kind experience when it comes to tourism. From the ancient beauty of the Sphinx, to the towering pyramids, Egypt takes pride in its rich cultural history. 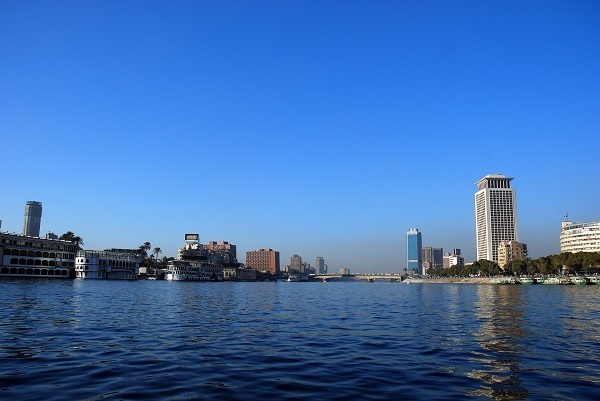 Most of the expats residing in Egypt can be found in the big cities, such as Cairo and Alexandria. Mention Egypt to anyone, and images of Pharaohs' crowns, sites and pyramids come to mind. But modern Egypt has even more to offer than its rich history. The country's top attractions now include spectacular beaches along the Mediterranean and the Red Sea coasts, diving and snorkeling activities and its modern art. More so, Egypt holds the ace in tourism that includes the world's longest river, The Nile, Sinai's biblical mountains, the temples of Luxor and Kamak, the Valley of the Kings' famous sunrises, the tombs of Abu Simbel, the world beloved pyramids of Giza and the white desert's rock formations which are brought to a constant shine by the wind. Today, over 8 million people (the largest in the Middle East) have found their way to Egypt, with most of the populace settling in the Nile Delta area where most of the country's food and income are sourced. Foreigners who come to settle in Egypt are usually in it for curiosity, or a broad sense of global heritage is coming from a place that was once influential in the shaping of today's world. However, foreigners that want to relocate to the country will need to take heed of the present situation, as the country is going through political turmoil after several military coups. The capital of Cairo has gone through terrorist attacks and several terror-related killings by Islamist militants. Expatriates are advised to exercise a high amount of caution when visiting Egypt as the current security situation is unstable and unpredictable. Non-Egyptian visitors are required to have a valid passport. Entry Visas are obtained from the Egyptian Diplomatic and Consular Missions Abroad or the Entry Visa Department at the Travel Documents, Immigration and Nationality Administration (TDINA). But tourists and visitors can also obtain an entry visa at any of the Major Ports of Entry. For tourists, a 1-month tourist visa is issued at Cairo Airport. Citizens of certain countries are required to obtain a pre-arrival visa.Generally, there are three types of Egyptian visa: Tourist Visa (valid for up to three months), Entry Visa, which is required for all foreigners except those who go to work or study (note: a valid Entry Visa is needed to complete the residence procedure in Egypt) and lastly, a Transit Visa. Despite the issues that plague Egypt today, the country is considered to be a major force in North Africa, the Mediterranean Region, the African Continent, the Nile Basin, the Islamic World and the Red Sea. It is one of Africa's best performing economies and continues to post consistent growth annually. Its expanding business sectors, including agriculture, manufacturing and oil and gas, open up a wealth of employment opportunities for qualified expats. The people of Egypt have a diverse culture brought about by the different influences of many countries over its 5000-year history. This makes it easier for expats to blend with the people who are so used to a variety of beliefs and practices. This is especially true in matters of religion, as Egyptians learn to be more embracing of varying orientations from different racial groups. Proof of this is the rather complex mixture of Egyptians, Berbers, sub-Saharan Africans, Greeks and Turks in modern Egypt who are further divided into the Sunni Muslims and the Coptic Christians. However, expats must always bear in mind that Egypt is a conservative society and foreigners are expected to respect local customs - especially during the month of Ramadan when eating, drinking and smoking during daylight hours is forbidden in the Muslim culture. While Egypt is full of charm in the form of the breathtaking views, cultural landmarks and archaeological gems, it is best that expatriates who are planning to visit the country are cautioned to take heed of the present political instability that the country is going through at the moment. Overseas shipping is rather expensive, especially in Cairo. Often, expats find it cheaper to buy new items in Egypt than to ship items. Import taxes can be as high at 35- 55% depending on the worth of the item. However, expats will find that shipping to Cairo may come with various risks involving explosions, terrorism and kidnappings. This is due to the current state that the country is going through, where Egyptians are protesting and rioting in the streets. Despite the risks in Egypt, expats who want to relocate will find that there are a number of movers in Egypt that offer competitive prices; however, it is recommended to get quotes from at least two removal companies to get the best deal.Be prepared to pay a higher tax for electronic items. Bring along power adapter as Egypt uses 220 volts and the plugs are two-rounded prong. Due to its hot and humid weather, sun protection essentials like sun block must be handy at all times, especially when going outdoors. Aside from the comfortable clothing needed for summer, bring a sweater, jacket, or coat for the winter season in Egypt.Egyptian customs are very strict in importation and exportation of firearms, religious materials, antiquities, medications, business equipment, currency, and ivory. Remember, Egyptians are primarily Muslims; it is prohibited to import pornographic materials and any anti-Islamic religious materials. Expats need to have a work visa/permit from Egyptian authorities at least three months and prior to the arrival of the shipment in Egypt. When relocating to Egypt, all shipments are subject to 100% inspection. Importing household goods and personal effects in Egypt are dutiable except for expatriates employed in the government sector and in the private sector. A Letter of Guarantee is needed to approve all removals to Egypt that states shipments will be re-exported back to the exporter's home country. Given that Egypt is experiencing a political uprising that is fraught with riots, bombings and other dangers, most governments have issued warnings against visiting or relocating to the country. While expats don’t have to worry about forgetting any particular item in their shipment, given the current state of the country, it would be wise for expats to exercise a high degree of caution when moving items from their home country to Egypt. 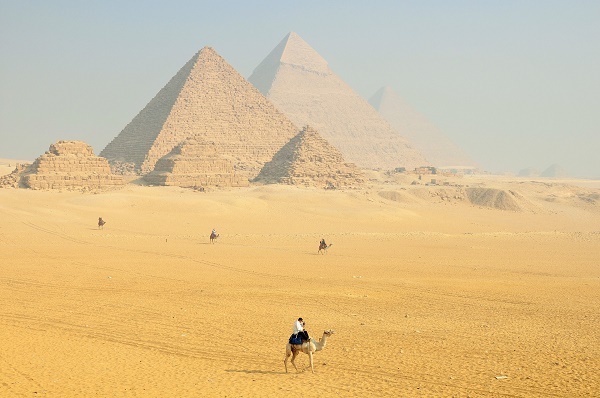 Situated in north-eastern Africa, Egypt is the home of the pharaohs, Sphinx and majestic pyramids. It has a rich culture and history that dates back 7,000 years ago, making it one of the most ancient countries in the world. Despite the drastic changes since the political upheaval in 2011, the Arab Republic of Egypt remains to be an interesting and vibrant expat destination. It has a population of more than 9.4 million people which is equivalent to around 1.2% of the world’s total population. Expats in Egypt will not just participate in a highly competitive labour force but will also enjoy a year long pleasant weather, lots of exciting activities and a view of vast stunning sceneries. Children will find plenty to explore in Egypt, as the country features the opportunity to explore pyramids, tombs of mummies and boat rides on the Nile River. The Egyptian Museum in Cairo will amaze both children and parents with its rich history, rare artefacts and exhibits. Children who like to swim will find that the seaside resort of Sharm El-Sheikh can provide them with some leisurely fun under the sun. Another popular location for kids to visit is the local Zoo, where children can observe and interact with monkeys, deer, camels, ponies, flamingos, ducks, and more. Some Western restaurants and fast-food joints are available, and kids will enjoy eating in McDonald’s or hanging out at coffee shops. However, some areas are dangerous for children to be exposed to at the moment. Kidnappings, terrorism and bombings occur in several parts of Egypt so expats should check with the local authorities or with their Consulate for up to date safety advisories. Expats who will live in Egypt can either drive or use the country’s public transport system that is comprised of trains, metro, buses, and taxis. Those who prefer to use private vehicles should know that roads in Egypt, particularly in Cairo, are quite chaotic due to the large number of people commuting everyday. Though some companies provide drivers for their employees, most expats still prefer to drive themselves. Cars should be on the right-hand side of the road. Signs are either in English or Arabic and have some similarities to those in Europe. Buckling up while the car engine is running is mandatory in Egypt. Expats who have EU or international driving licenses can only use their permits for six months. Afterwards, they need to apply for an Egyptian driving license. It is also important to keep the proof of insurance and vehicle registration with you at all times since the local authorities conduct random checks. Driving in Egypt, despite the traffic and constant blaring of horns, is still a rewarding experience since this country is blessed with beautiful country roads and picturesque views. Egypt is a fascinating blend of ancient and modern traditions. Most Egyptians are warm and friendly, understanding the cultural barrier and difficulties of a foreigner in adapting to their customs and traditions. Expats will find Egyptians are more open to answering questions about their culture and faith. When in Egypt, expats are expected to respect Islamic values and practices, especially during the holy month of Ramadan. During this time, expatriates in Egypt should avoid eating in public during the day, drinking, smoking and chewing gum. Although alcohol is forbidden in Islam, Egyptians are very liberal to those who drink in reasonable amounts. Expats living in Egypt should be aware that it is customary to decline anything that is offered the first time. Egyptians believe that if the offer is heartfelt, it would be asked again, and it's only on the second offer that one can say yes. Do not bring flowers for the dinner host as these are only used in wedding and funerals. Instead, bring along some sweets, pastries or baked goods. It is a common practice for foreigners to repay the favour by hosting a dinner in a restaurant. Both men and women expats in Egypt should dress conservatively and properly. Expats will find most girls wearing a scarf as it demonstrates modesty and Muslim piety. Dress appropriately when visiting religious places such as mosques. 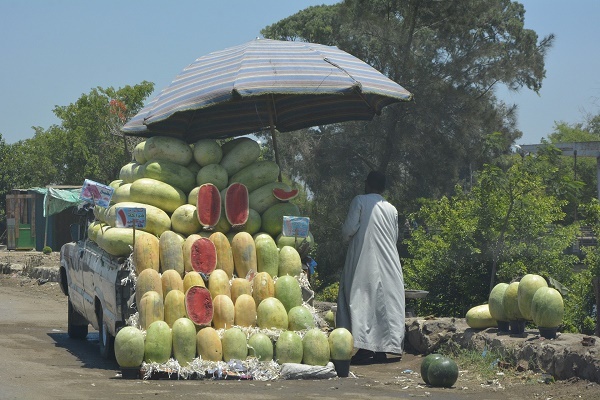 Baksheesh or tipping is a way of life in Egypt. When eating out, the norm for tipping is 15% of the restaurant bill.